According to Agarwal, the device is still in prototype stage, so this won't necessarily be the final design. As it appears on the slide, the phone has a shiny red rear panel with a large, circular camera bump. There's also what looks to be some sort of branding mark in the middle of the panel, although that could just be compression noise. Additionally, we can see the same device face down on the table and in the hands of Lau on the right side of the photograph, who appears to have a light grey version. 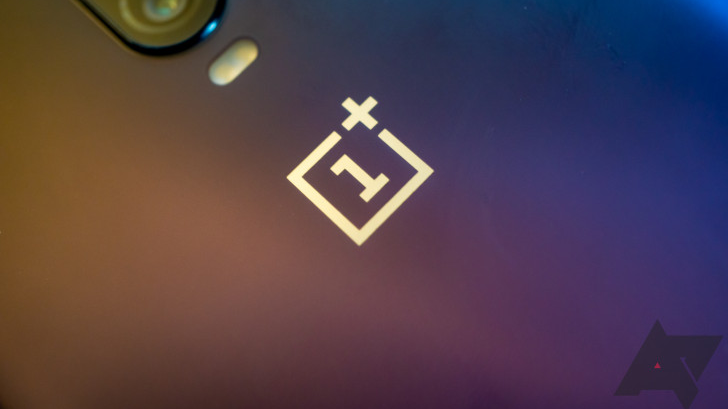 The aesthetic is markedly different from OnePlus' last device to hit the market, the OnePlus 6T, which stuck to a smaller two camera vertical bump. Perhaps even more interesting, though, is the fact of the photograph's existence. The meeting room is clearly small and it's easy to see who the picture taker was sitting next to - either someone was already fired for this leak, or it was intentional. Either way, Agarwal is washing his hands of the matter. I know Zac. It was foolish of the person as welll to click a pic and get it shared. Though, would be sad if he gets fired. That issue aside, it's a good first look at what could be the new 5G device. So far, OnePlus has divulged that it will be working with sub-6GHz spectrum for 5G and staying away from the finnicky short-range millimeter wave spectrum. It also noted that the 5G device will be $200 to $300 more than its next 4G phone and will arrive at some point in 2019, with UK carrier EE confirming stock.